MONDAY, March 12, 2018 (HealthDay News) -- If you love exercise, one of the hardest parts of suffering an injury is being sidelined. But if you take the time to heal a sprain or strain correctly, you'll get back in the game faster. First, understand your injury to treat it appropriately. A sprain affects ligaments, the bands of tissue that connect bones at a joint. A strain is damage to muscle and the fibers that attach it to bone. Both injuries are classified from first-degree (the mildest) to third-degree (the most severe). Resist minimizing your injury. If you're in a lot of pain or can't put weight on a limb, call your doctor. Getting the right treatment is essential for a full and healthy recovery. 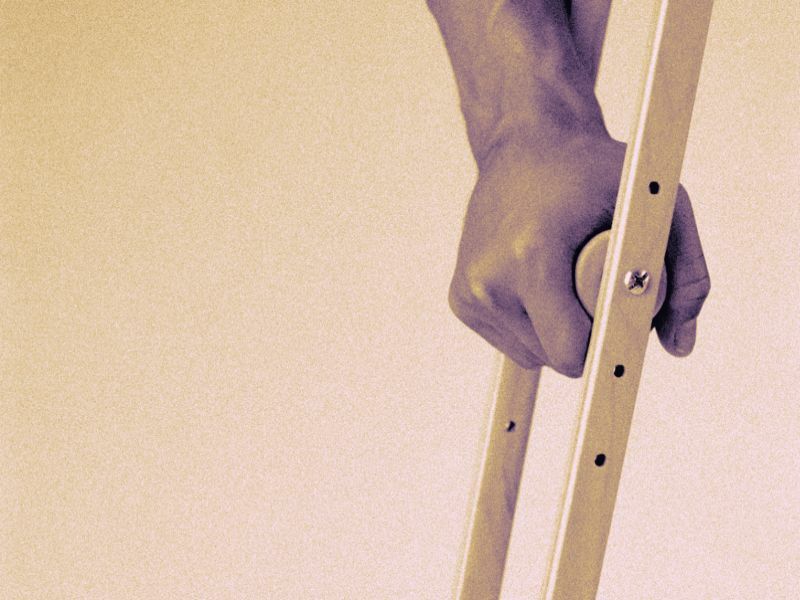 You might need a splint, protective pad or brace, or crutches. According to the American College of Sports Medicine, treatment starts with an approach called PRICE, a variation of RICE, to limit swelling and speed healing. Protect against any further injury. Restrict activity for 48 to 72 hours. Ice the injured area for 15 to 20 minutes every 60 to 90 minutes. Compress the area with an elastic bandage or other compression aid. Elevate the injured area to minimize swelling. The next stage usually includes gentle movement of the muscle or joint, mild resistance exercise, and a very gradual return to your favorite activity. Depending on the location of the injury, you may be able to do some form of cardio, like walking, using a stationary bike, swimming, or walking or running in water. Working with a physical therapist can keep you on the correct rehab track. What you should never do is "exercise through the pain." Pain is your body's way of telling you something's not right and needs attention.